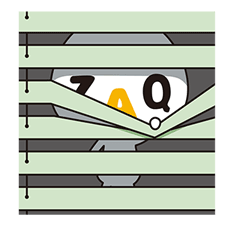 The first set of ZAQ stickers was used over 300 MILLION times, and now he’s back for more! 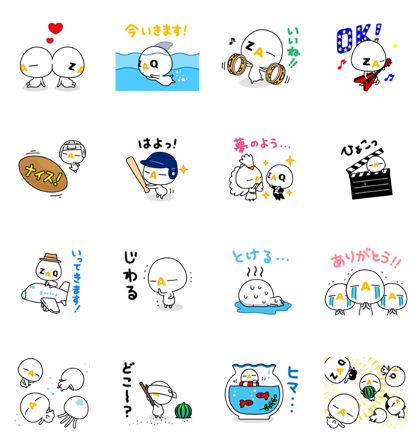 Zaq’s back in the brand new sticker set featuring 16 more awesome expressions. ZAQ is here once again to light up your screen! Watch him dance, throw, and generally have a good time! You’ve never seen ZAQ like this before! ZAQ is here once again to light up your screen! Watch him dance, throw, and generally have a good time! You’ve never seen ZAQ like this before! Friend J:COM’s official account to get them. 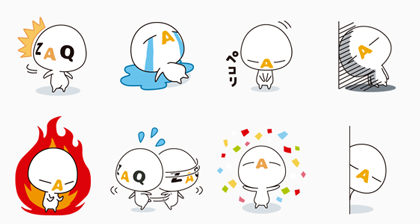 Jump into the wide world of ZAQ with these cute stickers! Get to know Shark ZAQ, Baseball ZAQ, and many others in this must-have set. Friend J:COM's official account to get the set for free.